Welcome Back to Season 7 Episode 6! "Informative but she's condescending and insulting. I stumbled upon this podcast and her blog/staging courses while doing research for my new business venture. I really like her blog and the info. And while I do like the interviews and information on her podcast, I find Cindy to be super condescending and insulting to what she calls 'amateurs.' She is rude and must have forgotten that you always have to start somewhere. In the particular episode "home staging can make or break you sale" with Bobbie McGrath (who I adore) she does this often. And repeatedly talks about 'how can a stager not know they need insurance or a contract?' It made me super uncomfortable that she sorta roped Bobbie into speaking this way about newbie stagers and they went on and on towards the end about how home sellers need to vet their stagers and hire one with experience and extensive knowledge. I find it contradictory to the fact that her goal is to TEACH 'amateur' stagers in hope that sellers will give you a chance! So you teach them, take their money and tell your audience to hire someone with experience like her? I mean really. 'Never forget where you came from' is my motto. That amateur or 'hobby stager' may just be stealing your business one day... Also she says 'like' way too much." I want to start off by saying that I appreciate everyone who leaves a review, whether it's good or bad. Because this is important feedback that I can improve upon on the show. I don't normally address negative reviews, but this one I thought is important. I think there are a few misunderstanding about the content of the show and what I aim to do with the show. If the whole purpose is to make money and exploit new stagers, I'd be charging people to read my blog or listen to this podcast. To be perfectly clear, it takes money to host a blog and host all the content including the podcast. We do have a sponsor for the show this season, but that doesn't cover all the costs of running a podcast. One single episode costs about $120 just to edit, this does not include my time for researching and writing questions, interviews and the cost of hosting the media files. Unfortunately, money doesn't grow on trees so yes, I do need to keep generating income through the courses. Many guests that have been on the show also are not doing the interviews purely out of the kindness of their hearts, they too have products and services or courses that they are promoting. Money aside, I am in a full-time master course at the moment. So I already have a full plate. On days where I am in photo studio shooting projects, working on my feet for 8 hours straight, and I have interviews to record, I go home and record podcast interviews sometimes until 11 o'clock at night. I keep at it (even though it's freaking hard at times) because I enjoy interviewing people who are passionate about what they do. And it is important to me to keep pushing for education in the industry. So I choose to keep doing podcasts because it makes me happy. It makes me feel that it's worthwhile to do. The reason why I am very upset about new stagers not knowing about insurance or contract is that if you go to a home staging training school, fork over thousands of dollars, this is something the school should've covered. You should know this. And you shouldn't have to ask about if you need one on a Facebook group. I'm pissed at the training schools and how they didn't properly support their students, and that's why I started my own courses. I also think that many courses have not been updated since they were written, some could be more than 10 years. So that's why I started my own courses because I firmly believe that if you don't like something, you do something to change it. This is not to say that new stagers shouldn't be hired. The whole point of having blog posts and podcasts discussing these topics is that I hope that if you are a new stager, you will avoid and not make those mistakes those of us have made early on in our careers. And yes, if you are an unethical stager who is undercutting the market and not know how to protect your own business and your clients, and you are not doing anything to change it, you don't deserve to be in business. I know I can come off very harsh, but I am very passionate about helping stagers growing businesses that are sustainable and fulfills their lifestyles. Because if you are happy running your business, it fulfills you and gives you purpose. Even if you are so exhausted, that means you are doing a great thing. And during that process, you will make your clients very happy. So that's why on the show today, Bobbie and I started with the question: "What is the difference between newbie stager v. amateur stager v. seasoned stager?" And I also think the listener Frustrated in Brooklyn gave Bobbie too little credit. Bobbie McGrath is one of the most amazing human beings I know. She is smart, articulate and a strong, independent woman. If she feels that she is being roped into something, she will speak up about it. I'd love to hear about your thoughts about the show and about the review. As always, you can leave a comment on our show notes. 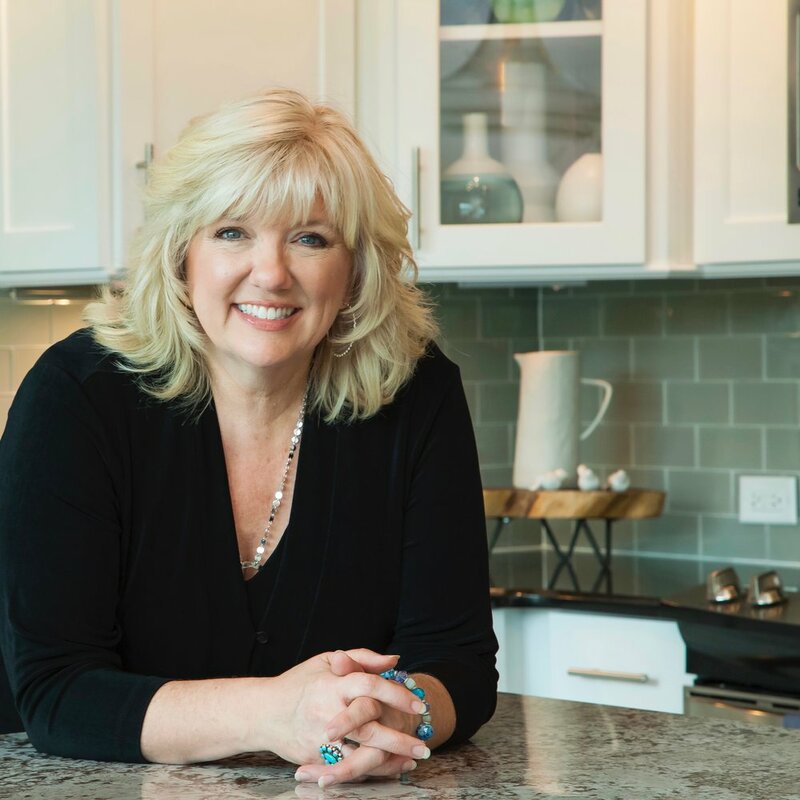 Bobbie McGrath is an international award winning home stager, trainer, speaker and co-author of the best selling book, “Home Staging: The Power That Sells Real Estate”. She has been named Technical Staging Editor for the new online publication, “Aspired Home Magazine” dedicated to showcasing and educating the public about the difference between home staging and interior design. Bobbie created a North Carolina CE Course for Realtors focusing on how to utilize Staging to build a powerhouse real estate business. Focusing on educating the public, Realtors and fellow stagers, Bobbie is introducing a series of online training courses, which take a deep dive into the “why” of home staging as well as one-to-one coaching sessions. In addition to the online training course she developed for Australian Realtors and home stagers Bobbie will be traveling to Australia later this year to teach her course “live” along with Australia’s own Tracey McLeod and Staged4More’s own Cindy Lin! International in scope, Bobbie looks forward to spreading the word about home staging. Stay tuned for more! Voted by her international peers as one of RESA's (Real Estate Staging Association) Top Ten Occupied Home Stagers in America in both 2015 and 2016 Bobbie has been recognized as “Best of HOUZZ” for customer service and design in 2015, 2016, and again in 2017. Known for her positive and empowering approach to life she has a gift for finding just the right words in often-difficult situations. Homeowners and Realtors alike use words such as “positive”, “professional”, “effective” and “great communicator” when describing her. Whether you are a Realtor, homeowner or fellow stager Bobbie’s goal is always to provide a positive and empowering experience! What is the difference between newbie stager v. amateur stager v. seasoned stager? What are some of the pros and cons of both starter homes and luxury homes markets? How should stagers approach the market? How do they go about finding new clients? What is your definition of being a “success” in this industry? How about someone who started for awhile, like couple years in and is growing the business?